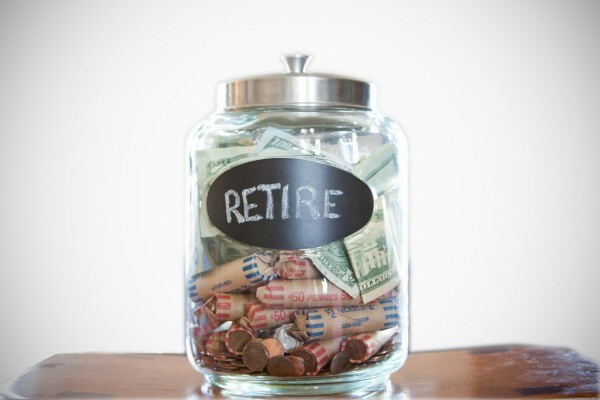 Just 100 CEOs have as much saved up for retirement as 50 million American families combined. Photo by American Advisors Group. Flo, the Progressive insurance pitch woman in the white uniform and headband, is relentlessly perky. She won’t be when she learns about the double standard that lets her CEO sock away millions more for retirement than she can. Whereas the Flos of the working world face strict limits on how much they can set aside tax-free for their golden years, many of their bosses don’t. Flo’s boss, Progressive CEO Glenn Renwick, dropped $26,170,569 last year into his deferred compensation account — that’s $26,152,569 more than Flo would’ve been allowed to invest in a 401(k). Ordinary workers under 50 (like Flo) can contribute no more than $18,000 per year to a 401(k). But most big companies offer special accounts that allow their top brass to set aside unlimited amounts of their pay tax-free until they retire. Renwick’s stockpiled more than $150 million in such an account during his more than two decades at the company. That’s enough to generate an $850,000 check every month for the rest of his life. This double standard is just one reason the CEO-worker retirement gap is now even wider than the income divide. A new report I co-authored for the Institute for Policy Studies and the Center for Effective Government finds that the company retirement assets of just 100 CEOs equals the combined golden years savings of 50 million American families — or 41 percent of us. On top of their special tax-deferred accounts, more than half of Fortune 500 chief executives get traditional pensions that guarantee a stable monthly payment after retirement. That kind of security has gone the way of the typewriter for most American workers. To cut costs, most companies have shifted to riskier and less generous 401(k)-type plans — or eliminated retirement benefits altogether. As a result, more and more seniors have to rely on Social Security to avoid falling into poverty. They’ll be hit hard by the government’s recent decision to provide no cost of living increase in Social Security in 2016. In response, Senator Elizabeth Warren has introduced a bill that would offer a one-year, 3.9 percent bump in Social Security benefits. How would the Massachusetts Democrat pay for it? By eliminating a tax loophole that currently subsidizes excessive CEO pay. There are many other ways to narrow the retirement divide so that all Americans can look forward to living in dignity in their later years. For one thing, corporate executives should be subject to the same rules that govern the retirement assets of the people they employ. If Flo the perky pitch woman can’t put more than $18,000 per year in a tax-deferred account at Progressive, her boss shouldn’t either. Sarah Anderson directs the Global Economy Project at the Institute for Policy Studies and is a co-author of the report A Tale of Two Retirements.